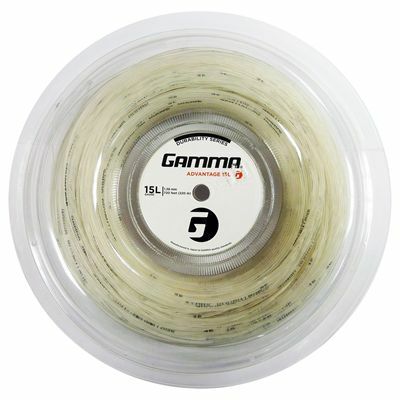 The Gamma Advantage 1.38mm tennis string - 220m reel features a copolymer™ centre core and outerwraps with Nylon 6 coating for excellent durability. 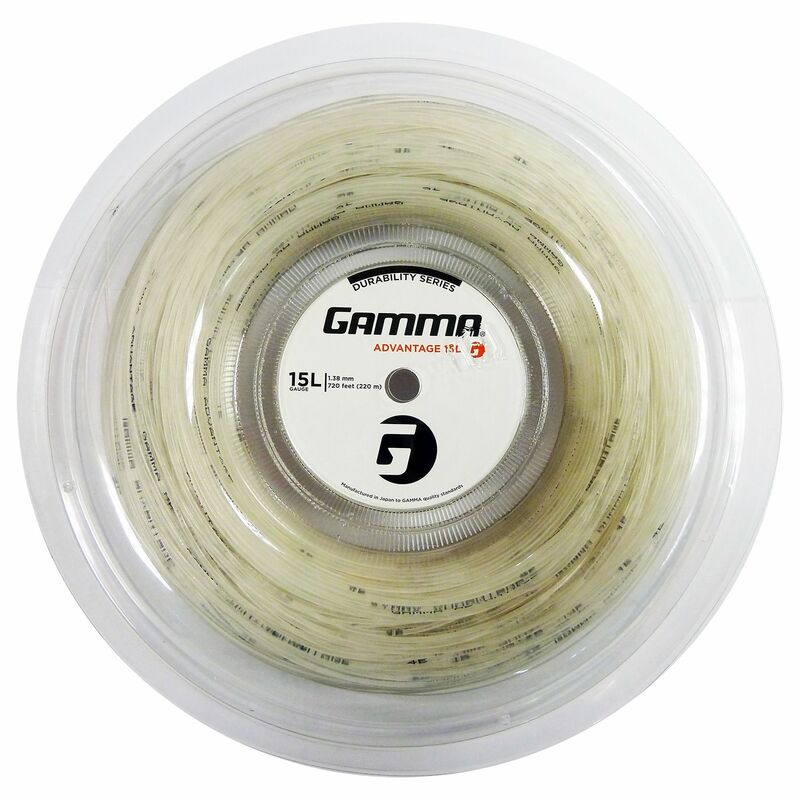 The Gamma Advantage is an excellent choice for hard hitters who need a synthetic string that can perform longer. The string has a gauge of 15L (1.38mm) and is available in a 220m (720ft) reel. for submitting product information about Gamma Advantage 1.38mm Tennis String - 220m Reel We aim to answer all questions within 2-3 days. 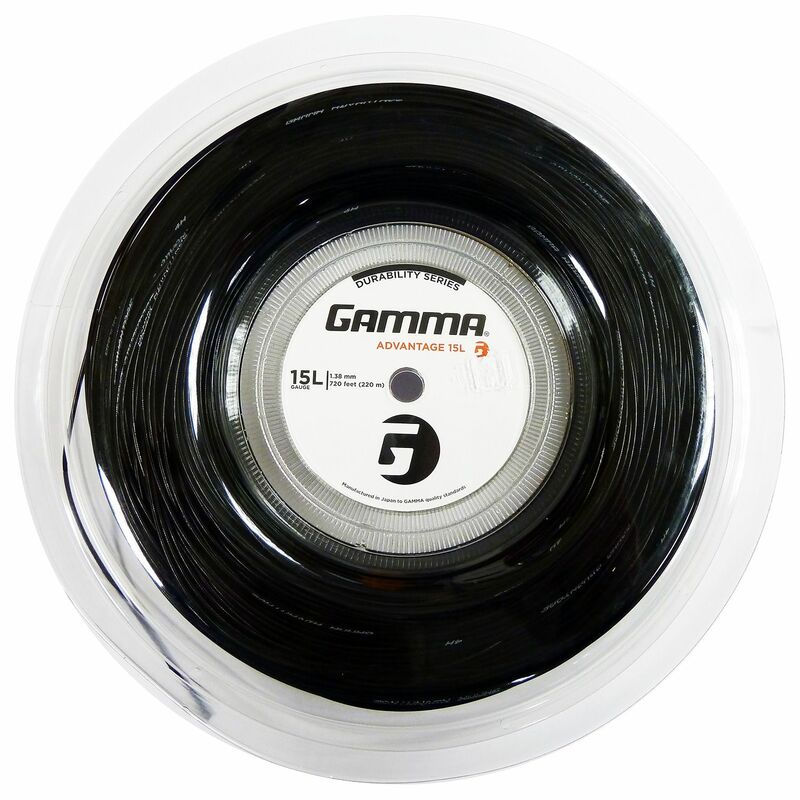 for submitting product information about Gamma Advantage 1.38mm Tennis String - 220m Reel. We aim to answer all questions within 2-3 days. If you provided your name and email address, we will email you as soon as the answer is published. A very good string for players who do not use too much top spin. I am a coach and I use this string for everyday use. And it is at a great price! for submitting product review about Gamma Advantage 1.38mm Tennis String - 220m Reel.